First, there were laptops that included Ethernet ports to get them plugged into the school network. Then laptops offered WiFi capability. And now Sprint is working with Google and Oregon-based CTL to create a CTL Chromebook that provides access to LTE mobile service, to compete with similar models from Samsung and ASUS. The new CTL Chromebook NL7 LTE includes Sprint's LTE technology. The device will allow users to access the internet or to text without a WiFi connection or mobile hotspot. 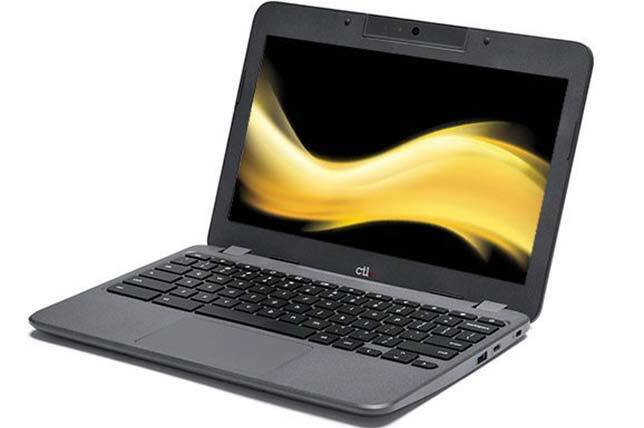 The specs of the machine are based on CTL's standard Chromebook NL7 for Education. Although the Chromebook is intended for business users too, Sprint has created an education version for schools. Students will have access to the internet and online applications anywhere Sprint LTE is available. The machines start at $299 and require a $15 monthly Sprint service plan. The LTE service provides for one video stream at up to 480pixel resolution, music at up to 500 kilobits/second, streaming cloud gaming at up to two megabits/second. 10 gigabits of high-speed mobile hotspot VPN and P2P data and unlimited 4G LTE for everything else. The computer is expected to be available in mid-December through Sprint stores. More information is available on the CTL and Sprint websites.